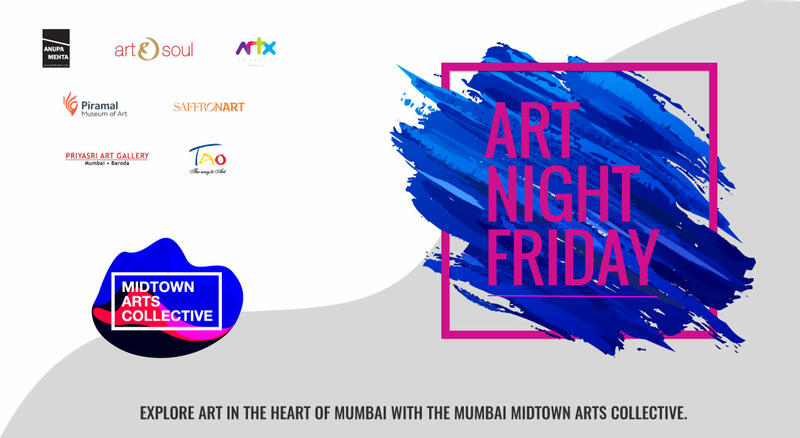 The Mumbai Midtown Arts Collective (MMAC) is a group of six spaces, including galleries, museums and auction houses who have come together to develop and nurture a community of arts lovers and cultural connoisseurs just like you. This Art Night Friday, join us for guided walkthroughs in four out of the six spaces across Worli and Lower Parel. All spaces will remain open from 6pm till 10pm! Take a look at the schedule below and mark your calendars! We end the evening with a networking mixer at Cafe Zoe at 9:30PM.